New Zealand have been crowned 2014 Four Nations winners after defeating world champions Australia 22-18 in a breathtaking showpiece event in Wellington on Saturday. Following the heartache of a 34-2 reverse in the Rugby League World Cup final at Old Trafford last year, the Kiwis exacted revenge on their adversaries with a dazzling display at the Westpac Stadium. It was a performance brimming with individual and cohesive brilliance with Jason Nightingale chalking up his fifth try of the tournament, Manu Vatuvei bagging a brace and Shaun Johnson turning in a man of the match display as he picked up a try and three goals. Stephen Kearney's Kiwis dominated throughout but the Kanagroos kept fighting back and a late Ben Hunt score - converted by Cameron Smith - made a miraculous Australian comeback look all-the-more likely. But - much to the delight of a raucous Wellington crowd - New Zealand managed to hold out. Michael Jennings and Sione Mata'utia also crossed in a losing cause for the Kangaroos, but despite their spirited late charge New Zealand stood firm to secure the Four Nations crown and bragging rights over their fiercest rivals. Johnson showcased his class throughout as New Zealand avenged their World Cup final defeat and claimed a third Four Nations crown in nine years with a first set of back-to-back wins over Australia in 60 years. The final whistle sparked wild scenes of celebration among the 25,183 crowd at the Westpac Stadium which helped set a tournament aggregate record of 144,786 as New Zealand made amends for their Old Trafford humiliation. Johnson was the star of the show, scoring a solo try and carving out a magnificent score for winger Vatuvei, who added another to put his side into a 22-10 lead on the hour. However, the Kiwis were hanging on grimly at the end after substitute Hunt scored Australia's third try on 75 minutes and they were grateful to see teenage winger Mata'utia fumble the ball as he went for the match-winning score. Australia had demonstrated their vulnerability in going down 30-12 in the opening game in Brisbane and, with the Kiwis keeping a tight rein on dangerman Greg Inglis, they were always on the back foot after scoring only six points during a dominant opening quarter. 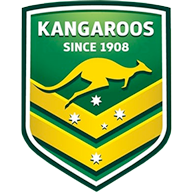 Kangaroos captain Smith was influential in his side's promising start, with a kick to the wing that almost produced a try for Josh Mansour and a short pass that got Corey Parker over the line without being able to ground the ball. The visitors duly took the lead when the impressive Jennings pounced on a handling error by Dean Whare to claim his ninth try in as many Tests and Smith's goal extended his side's lead to 6-0. It might have been more but for an important ankle tap by Nightingale that brought down a flying Mansour and some crunching defence by the Kiwis turned the game on its head in the second quarter. A surging run by Shaun Kenny-Dowall pulled the Australian defence out of position, creating the space for Nightingale to score on 23 minutes, and Johnson levelled the scores with a touchline conversion before edging his side in front with a penalty awarded for a high tackle by Smith. Johnson then demonstrated his class with a mazy run on the last tackle, effortlessly fending off defenders before producing a 20-metre pass from which Vatuvei came up with a clinical finish. Another touchline goal opened up an eight-point half-time lead but Australia struck back within two minutes of the restart when Daly Cherry-Evans' break was finished off by Mata'utia and Smith's second goal cut it to just two. 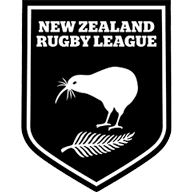 However, the Kiwis re-asserted their authority and hit their opponents with two tries in four minutes that demonstrated both poise and power to re-take control of the game. First that man Johnson sliced through the first line of defence and evaded Inglis to touch down and then Vatuvei proved unstoppable against the inexperienced Mata'utia as he steamrollered through his attempted tackle. Johnson hit the uprights with both conversion attempts and the misses began to look costly when Hunt took Cooper Cronk's speculative offload to touch down and Smith's third goal from as many attempts cut the margin to four points. Australia threw everything at the Kiwi line in the last two minutes and there was relief among the home fans when English referee Phil Bentham blew time on a game that demonstrated all the best qualities of arguably the toughest contact sport in the world.